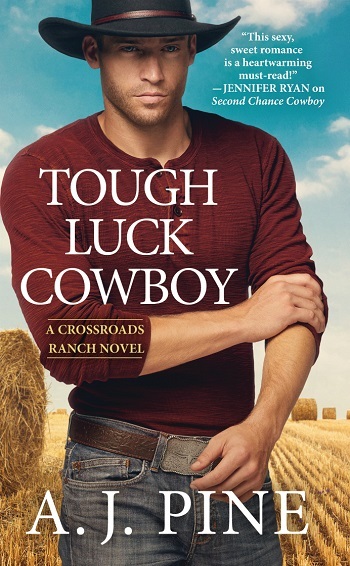 Ten years ago, Jack Everett left his family's ranch without a backward glance. Now, what was supposed to be a quick trip home for his father's funeral has suddenly become more complicated. The ranch Jack can handle—he might be a lawyer, but he still remembers how to work with his hands. But turning around the failing vineyard he's also inherited? That requires working with the one woman he never expected to see again. Ava Ellis broke her own heart the night she let Jack go. She was young and scared—and secretly pregnant with Jack's baby. Now that he's back and asking for her help, Ava sees her opportunity to right the wrongs of the past. But how will he feel about the son he's never known? Could this be their second chance—or their final heartbreak? Jack thought he had left his past behind him. He became a successful attorney and was getting the promotion that he'd worked for his entire career. When there is a death in his family and he travels back to his ranch home, memories that he'd rather forget come rushing back. Jack has always been the caretaker in his family. He is the oldest of three brothers and even though he was always looking out for them, he missed a big chunk of their lives being gone as long as he was. Ava has never forgotten Jack. He was the love of her life and despite how things turned out for them, she knows that unless she can get past it, she'll never be able to move forward. But when she sees Jack again, the past and the present collide in a violent manner. Jack and Ava still have chemistry that is out of this world. But with secrets and demons following them around, both will have to fight harder than they've ever fought before to figure out if they can move past what happened and towards a future together. Otherwise, they will have to settle for seeing each other sometimes and hope that is enough. This is the first book in the series and it's a sweet story about overcoming your demons in order to see a future. I read these books out of order and I don't believe that they need to be read in order. 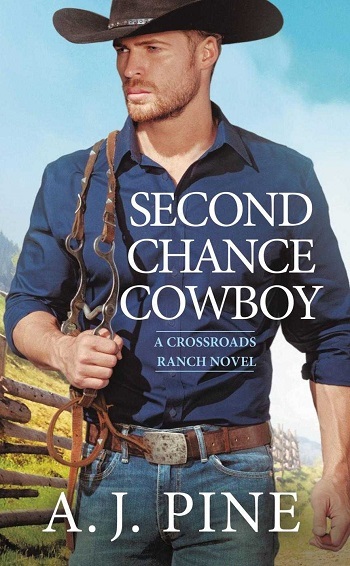 Reviewers on the Wicked Reads Review Team were provided a free copy of Second Chance Cowboy (Crossroads Ranch #1) by A.J. Pine to read and review.